TBS allows for easy access to book any type of travel service: flights, hotels, cars, transfers, insurance, cruises, activities, travel packages. The largest travel suppliers on the global market are integrated in the system. The platform consolidates the content from the providers, makes the booking and keeps track of the reservations all the way to invoicing and reporting. Undoubtedly, a low response time might negatively impact your business – your resellers and mainly your consumers will end up abandoning the booking process. Using TBS, you can allow other travel agencies to access your content via XML, having the search result in less than 2 seconds. Your costs with the technology involved will increase as your business grows. It’s a nonsense to share your profit with someone else, when the success of your business is due to your strategy and efforts. We offer a fixed pricing model, independent of your business volume – you don’t have to share your earnings as your business grows. The booking platform started from a comprehensive front office online booking system, and it was enriched with mid back office features in order to create a complete online travel solution and give you all the tools needed to fully control your business. 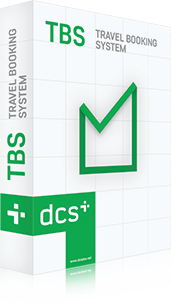 Talk to our experts and discover all the benefits TBS travel booking system can provide. Remember: some of the top travel agencies in the Middle East might have had strong reasons for choosing TBS! Register now for a demo!